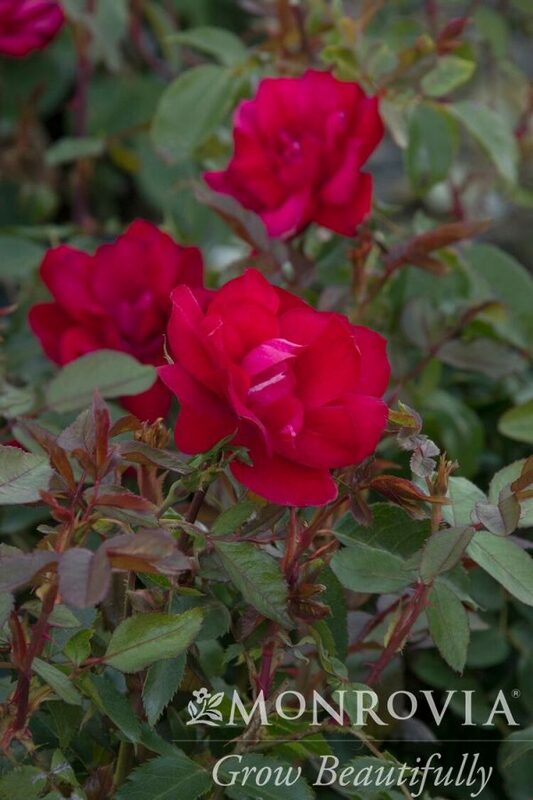 Upright bouquets of beautiful, fully double, red roses on fuss-free shrubs that will endure the trials of a long, hot summer with unwavering blooming zeal. This own-root rose has outstanding disease resistance, is self-cleaning, and has proven to thrive coast to coast in heat and humidity as well as dry, hot summers. A dynamic hedge, barrier, or accent plant.